Seven months ago I published a blog post on financial independence. I like to be an example for what I publish, so I’ve decided to share my own journey to financial independence. I feel very blessed having grown up in London, Canada. I believe we live in one of the freest, most prosperous countries in the world. Anything is possible if you put your mind to it and take the steps to achieve it – after all, these are the values Canada was built on. Like the pioneers who came before us, you too can build your fortune and help others in the process. Did you know only five per cent of people actually achieve financial independence? In Secrets of the Millionaire Mind author T. Harv Eker states that “out of 100 Americans who turn 65 only one person will become wealthy, four will become financially independent, five are still working and 90 people will be dead, dependent on others or flat out broke.” This is a sad state of affairs, particularly because, as North Americans, we have the ability to reach financial independence. In much of the world this is privilege that is almost unattainable. It amazes me that so few people grab this opportunity to be free. I won’t sugar coat it – it is not easy become financially independent. But it is possible, so why not enjoy the ride getting there? Celebrate when you reach specific milestones that you set for yourself. And above all (this is a very important step) write your goals down. In Think and Grow Rich, Napolean Hill encourages people to write down their goals. Maybe you want to save for that dream vacation or finally take that honeymoon you couldn’t afford when you got married. Or, maybe you want to have enough invested so you don’t have to work anymore – wouldn’t that be amazing! It’s much more rewarding to get there on your own than have the money land in your lap by winning the lottery or inheriting it. And if you do receive these windfalls you’ll be better able to handle them because you’ve practiced good savings habits. It takes hard work and determination to achieve financial independence. These are the steps my wife and I are taking to reach our financial freedom. Establish your values system. My wife and I both value freedom of time, so we’re saving and creating income streams that will give us the option of not having to work. We both love our careers and will probably continue to work – but at a more comfortable pace. Imagine not having to fight traffic every morning to get to a job. Take stock of where you are financially. You should always know your financial net worth. Your net worth is the difference between your assets – real estate, non-registered investments, tax-free savings accounts (TFSAs), registered retirement savings plans (RRSPs), etc. – and your liabilities (what you owe). Your ability to take care of yourself is tied directly to your financial net worth. 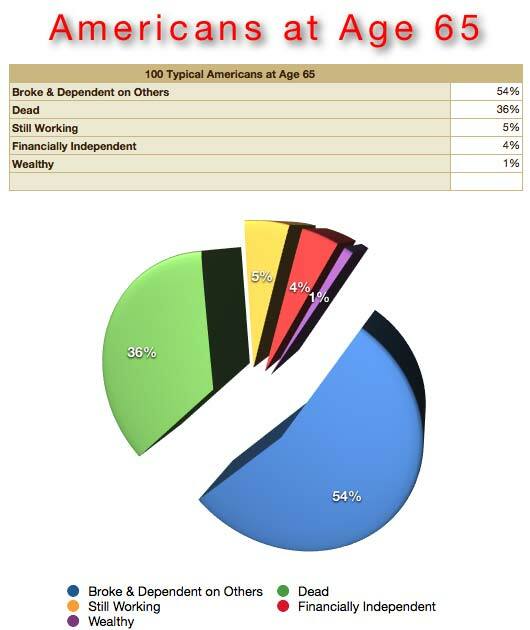 The higher your net worth the more financially independent you are. I track my net worth every month using an excel spreadsheet template borrowed from the Robert Kiyosaki game Cashflow 101. Currently, my wife and I have a net worth of about $250,000. If you observe the forecasted grow of our TFSAs in the following chart, in 2017 we will achieve a “sweet spot” where our home loan debt will be less than our total TFSA wealth. At this point we will have the option of using our TFSA money to pay off the home loan. Reality check on your ability to earn an income. Your ability to earn an income (unless you’re being taken care of by family or the government or you’re independently wealthy) is the most important asset you have and it allows you to take care of yourself and your family. If you lose this ability due to a job loss or illness you quickly realize how important and vital it is to your well-being. To help protect your income, make sure you have disability insurance in place. If you have disability insurance coverage through your group benefits at work, check to see if it will cover you completely if you have a disability lasting longer than two years. Often, it will only cover your income for two years and if you’re able to work in a different occupation your plan will not cover you. If your employer is paying for your coverage you will be taxed on the income you receive from your group plan. During a very stressful time it’s wise to have insurance coverage in place. A small premium can go a long way in providing peace of mind to know that you will not have to dig into your savings in case of a disability or critical illness. Critical illness insurance is also a good way to supplement income needs in case of a heart attack, stroke of cancer. Some group disability plans do not allow a worker to stay at home if they have some form of cancer or are recovering from a heart attack or stroke. Not having enough disability, critical illness or health insurance in place is one of the top ways to become financially bankrupt. Make sure you don’t become a statistic and put the proper insurance in place today! My wife and I have group disability coverage at work however we would both like to have our own disability insurance coverage because it’s better to have private individual coverage. I plan on applying for my own disability coverage in 2016. Because of my wife’s freelance writing business insurance companies will not allow her to apply. To compensate for her not being able to get her own disability coverage she received a policy in 2015 for more critical illness insurance coverage. Before 2015 we had already had critical illness coverage in place to help in case of a critical illness and to help prevent us from digging into our valuable savings which could delay our retirement. Start a budget and use cash where you can. Save before you buy. Keep a budget, even if it’s a simple one. You should always know what money you have coming in and how much you’re spending. Otherwise, you run the danger of spending more than you make regularly and going into debt. I recommend using 50 to 70 per cent of your earnings on daily expenses. Save 10 per cent, invest 20 per cent, and if you are charitable give 20 per cent to causes you believe in. Even if you manage to save 10 per cent you will still be ahead of most people. The average savings rate for North Americans has dropped considerably from 20 years ago. According to an Ipsos poll conducted between August 25 and 28, 2015 on behalf of Interac, 29 per cent of Canadians say they’ve never created a budget for themselves or their household and 66 per cent confess they have financial habits they need to work on. 27 per cent feel they’re not on track to achieve their goals. My wife and I keep an eye on our spending every week and save before we buy major items or go on vacations. We even save for small purchases like clothing. Our personal savings rate is 15 per cent and we’d like to increase that to 30 per cent after our home loan is paid in full. When we have extra income or a financial windfall, we divide it up by giving a portion to investments, a portion to charity, a portion to pay down our home loan, some to savings and the rest to savings projects we are working on. One such project is a trip to Costa Rica in 2016 for our tenth wedding anniversary. Create an emergency fund. Unlike many people who rely on credit cards in an emergency, I recommend saving at least three to six months of your living expenses in a TFSA. My wife and I have created our own emergency fund and have discovered we have very few emergencies. We like to keep the interest on the growth in our emergency fund instead of giving money to the credit card companies in the form of credit card interest. Save before you buy. My wife and I save before we take trips or buy things we like. Once we have the money saved for a vacation we enjoy it more knowing that after we return home we can pay off our credit cards. For our next trip we’ve decided to do more activities and keep the cost of travel low. Sometimes you have to sacrifice a little splurging today to achieve the financial independence you seek for tomorrow. Make sure you have the proper insurance protection in place for yourself and your family. It’s best to have insurance in place if you are to have true financial independence. If you lose your job you know that you are still covered because your own insurance coverage is not tied to your employer. You can't anticipate every trouble that comes your way but having enough insurance coverage in place will increase your odds of maintaining financial independence. My wife and I have enough life insurance in place that in the event of a death we could pay off our home loan and leave some extra money to help with life needs and income. Once our home loan is paid we intend on using our $50,000 Universal Life policy to act as another tax sheltered savings tool. Some of our life insurance is still term insurance which we intend on converting to either whole life insurance or Universal Life insurance. We like universal life insurance because it gives us the opportunity to pick our own investments. Our plan is to upgrade our critical illness insurance to at least $250,000 each because this type of insurance has a long-term care provision built in. Seek a qualified financial security advisor and grow your financial intelligence. For car repairs, you go to a licensed mechanic and to have open heart surgery you go to a qualified heart surgeon. Likewise, put your finances in the care of a qualified financial security advisor you can trust to give you the proper advice and who is licensed to provide you with insurance and investments products. Check your advisor’s track record and testimonials. Having a good financial security advisor on your team along with a good accountant and lawyer (when necessary) will give you a better chance of reaching financial independence. Make sure your accountant and lawyer understand the benefits of having insurance in your financial security plan. Read good financial planning books to grow your financial intelligence quotient. I recommend David Bach’s Automatic Millionaire as well as The Millionaire Next Door, Millionaire Mind and Secrets of the Millionaire Mind. Make sure the author you read supports owning insurance with their recommendations. For investing, study successful investors like Warren Buffet and Jim Cramer who give you tips on how to be a good investor. Stay healthy. My wife and I both are very active with martial arts, dancing and walking. This year I joined a Huff 'n Puff league along with my 78-year-old father who is an inspiration to me. He is a very youthful 78-year-old (soon to be 79) who still sails with his own boat. As well, my mother and father often join my wife and I for a night of ballroom and Latin dancing at a local Polish Hall. Think income stream! This is a topic that is very dear to my heart because the more passive income you create, the freer you become. Once you build up your passive income stream to the point it equals or exceeds your living expenses, you’re out of the rat race and get to travel on the fast track to greater wealth. Passive income streams can come from real estate, dividends, royalties from book sales or recordings, investment accounts that generate income, annuities, etc. I recently created my own lifelong income stream by opening a registered retirement savings plan within a London Life segregated fund policy that includes the lifetime income benefit option. My wife and I are growing our passive income streams with investments and business residual. We still have not achieved enough passive income to exceed our expenses and anticipate this to happen in the next couple of years. Now is the time to start taking the steps towards your financial independence. First, establish your value system. Next, build your security basket of putting insurance (including proper disability and critical illness to protect your earning power and life insurance in case you pass away) in place and establish a good emergency fund. Then start accumulating various sources of income – real estate, investments, etc. Keep track of your net worth and determine how much income you would need to get out of the rat race. Also, don’t forget to give back to your community and offer money to a charity of your choice.